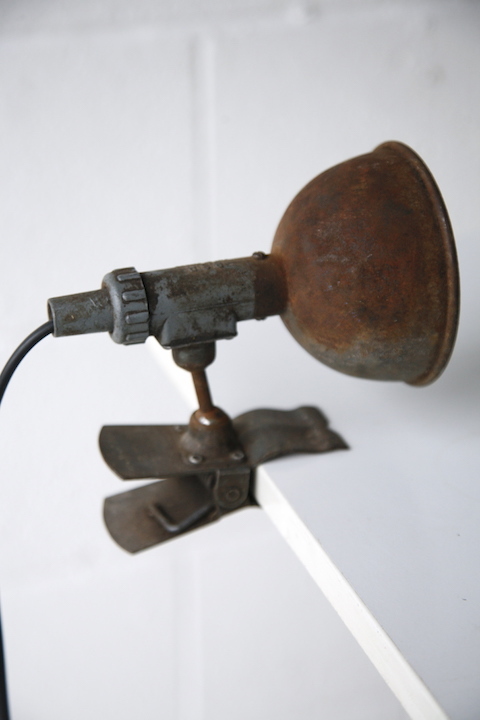 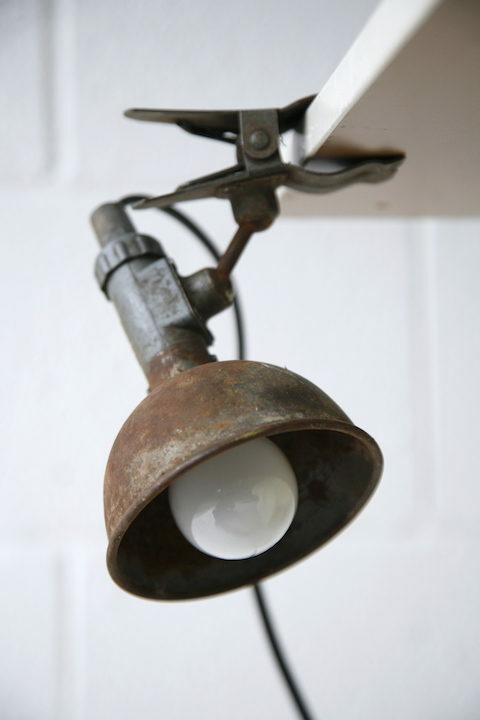 A superb industrial clip-on light. 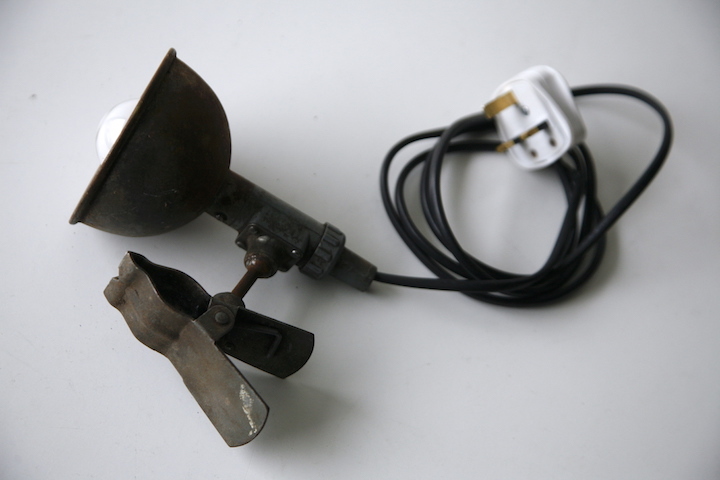 With adjustable double ball joint. 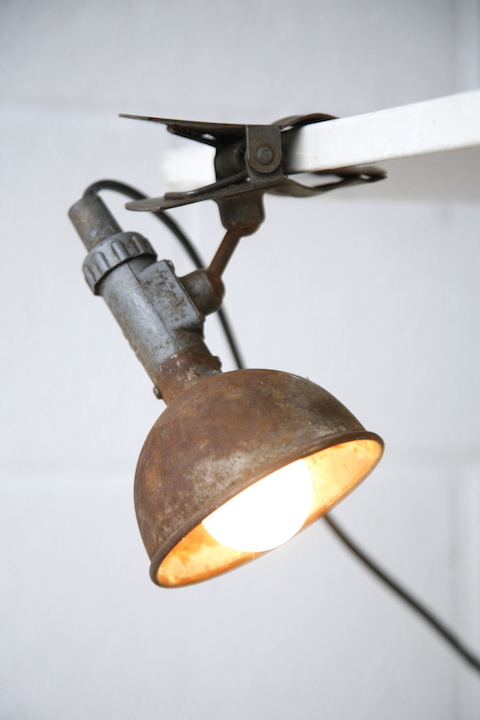 In good vintage condition with lots of wear, patina and signs of use.